It's no secret people are in a frenzy around the iPhone 7 release. With next-level graphics, a hot new color (hello, matte black! ), and a longer battery life, it seems like this phone will be better than ever. The biggest and most buzzed about drawback? No more headphone jack. You know what this means: You have to say so-long to your corded earphones. By upgrading, you'll now have to invest in Bluetooth headphones (because let's face it—you're going to lose the EarPods). 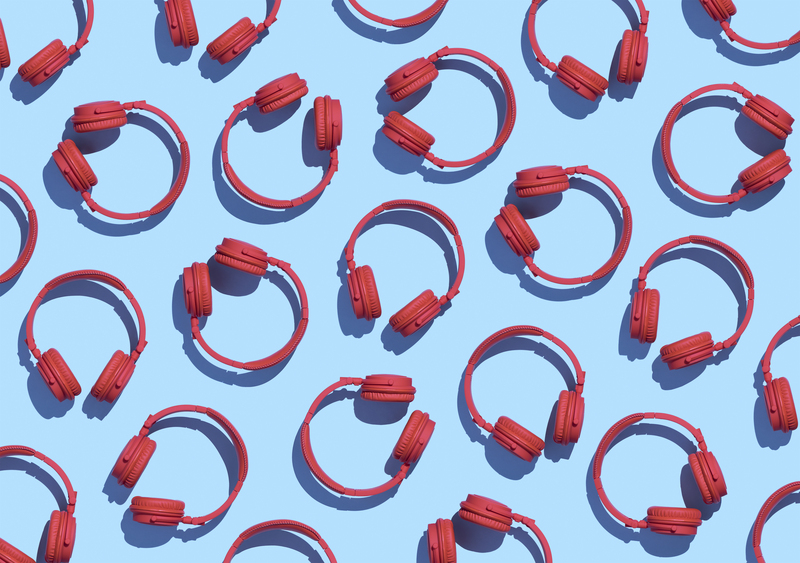 That's why two Health editors spent the summer testing wireless headphones. Over the course of two months, they tested seven pairs during marathon training runs, vigorous HIIT workouts, and strength sessions at the gym. Their favorites had excellent audio quality, good battery life—and perhaps more importantly, they stayed put during even the most aggressive workouts. Read more about the winners, below. I was already a big fan of Skullcandy's wired XTplyo earbuds when I started testing a slew of new Bluetooth headphones for this article, and the XTfree model did not disappoint. After two months of testing, the Skullcandy XTfree wireless headphones are my new go-to for one reason: They never, ever fall out. Here's how they work: You put them in your ear, twist them forward to lock, and then secure them in your ears with a cushiony tip on the outer ear. I usually run on the treadmill for cardio, use the stair climber for endurance training, and doing bodyweight moves to build core strength, and these earphones stayed in place the whole (sweaty) time. Once they're locked in, no matter how much I sweat, the ear pieces never fall out or end up dangling from one ear. In addition to being budge-proof, the XTfress are also super comfortable. Unlike a lot of other in-ear models, the XTfrees are made with a silicone blend that is so soft that I forget they're in. The inner ear portion is very soft, so it never feels like you have a piece of hard plastic in your ear. Plus, the piece that you stick in the curve of your outer ear to lock them in place is extra cushiony and bendable, so no matter what shape your ear is, this pair will adjust to fit. The one downside to wireless headphones? You have to take the time to charge them—but the truth is, you have to do that with every pair, and the Skullcandy XTfrees charge up in an hour (reasonable!) with a standard USB port. Battery life is 6 hours. I charge headphones every third or fourth workout. As an outdoor runner who is perhaps overly concerned about her safety on the route, these headphones hit the sweet spot for me. Because I like to be aware of what’s going on around me—traffic, cyclists whizzing by, or someone trying to get my attention—I’ve become accustomed to running without earbuds. But since I’m training for a marathon, I have needed something more than those city sounds to get me through my long runs. That’s where the Trekz Titanium have come to be the perfect solution. These headphones use bone conduction technology to deliver sound vibrations through your cheekbones to your inner ears, which means that there is nothing covering or plugging your ears. I am able to simultaneously listen to my favorite podcasts while also being able to be aware of my surroundings. While testing these headphones, I took them on numerous runs ranging from 3 to 18 miles, and I also wore them in the gym while doing strength training exercises. The headphones are comfortable and lightweight—they hook over your ears and connect around the base of your hairline on your neck. Although you can’t tighten them to fit more snugly, I never noticed them moving or bouncing around. Plus, they are sweat-proof, which means they have survived the worst 3-hour-plus runs in the sweltering summer heat. The battery life is great, lasting at least six hours—I can take them through a few workouts before needing to charge them again. When I do need to charge them, it takes around an hour and a half for a full charge. They charge through a regular USB port, so I can plug them through a wall mount of my computer. Connecting to my phone via Bluetooth was surprisingly easy. You must continuously hold down the power button (which is also the volume up button) through the power up notification in order to get the headphones into pairing mode. You’ll know you’re in pairing mode when the light flashes blue and red. One note: They don’t have a standby mode, so you have to remember to turn them off when you’re not using them or else you’ll drain the battery. Once paired, you can listen to audio and take calls. While I typically don’t like taking calls over headphones, I happened to pick up a call toward the end of an outdoor workout. It was easy to answer, with a press of a button on the headset. The person on the other end of the call commented that I sounded very clear, and was surprised to find out that I was outdoors and not in my apartment because the sound was so isolated.